I disturbed this guy when I opened the kitchen gate. He ran along the wall and hid behind the wheelie bin. He was only one inch long and the palest of cream colours. Beautiful. When I returned with my camera he was still in the same place. After that there followed a small dance of to-ing and fro-ing as he tried to get out of my way and I tried to get a second photograph. I stopped trying, in the end, because I didn’t want to frighten him to death. 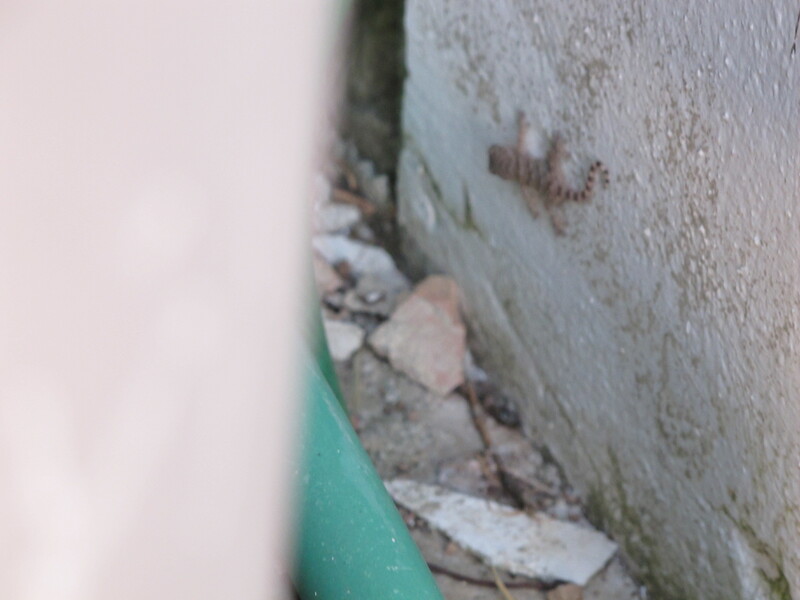 A family of geckos lives in our gas bottle store. 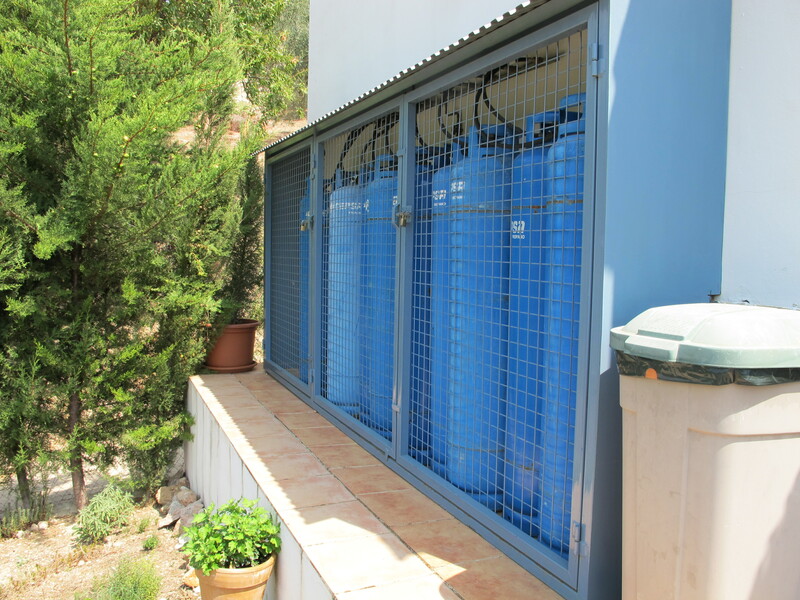 We have no mains gas here so use huge 35kg tall blue bottles of propano, propane, which are kept in a locked cage. I guess he’s the baby of the family. This entry was posted in Nature and tagged Andalucia, animals, gecko, nature, Sandra Danby, Spain on September 23, 2013 by sandradan1.